The vote for new class officers goes live Sunday evening (12 August). I’ve asked the candidates to provide their reasons for running, and their inputs are provided here. I will update if I receive more. 1) Respecting Your Valuable Time. 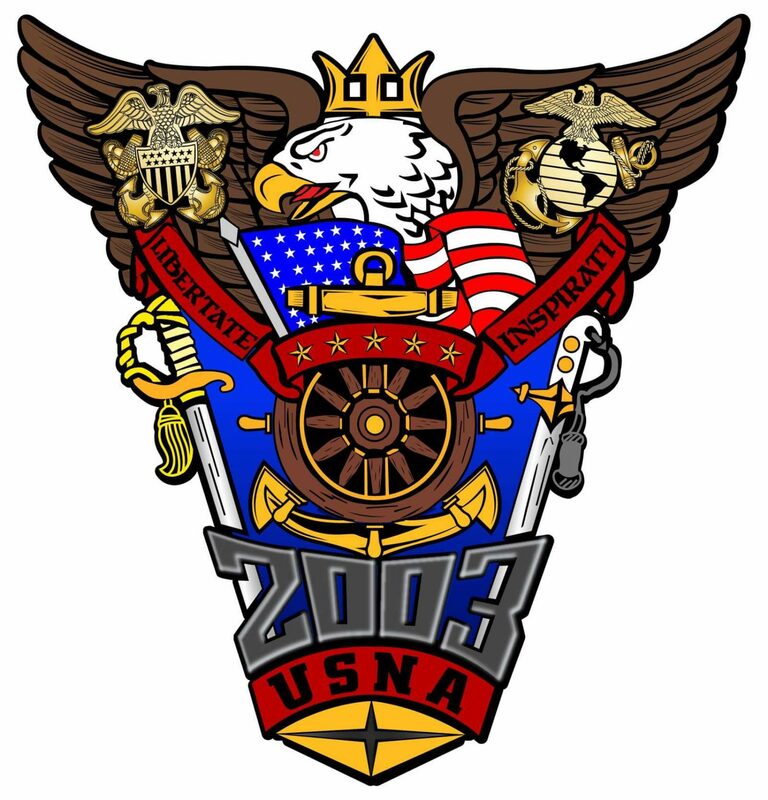 As the class’s lead rep to the USNAAA, I promise to exercise attention to detail and package info and important topics for your feedback and interest. We’re all busy. I understand that profoundly. 2) Continued Engagements. Engaging with USNAAA, its Communications arm, the Board of Trustees, the Naval Academy Athletic Association, the USNA Foundation, and the USNA Museum has been a pastime of mine for years. Mostly, it has been to hold those organizations accountable for not upholding the standards in myriad little things that we expect and should demand. Several times, despite immense resources, they have misrepresented classes, alumni, and the interests we have as former and active duty servicemembers. I would love the opportunity to pursue those engagements in an official capacity using the class’s united voice. USNAAA instituted changes that make me proud as a graduate. And I want to continue to capitalize on established relationships as the USNAAA adapts its perspective, programs, and fundraising efforts to a diversifying alumni base. ’03) Protecting ‘03’s Vast Resources. I am all in for President and have asked the hardworking, diligent Election Committee to remove my name from the VP Ballot. Thank you to those who nominated and supported that effort. ’03 is not a commodity to be traded; I have no intention of using the class as a means to an end – be it fundraising for other purposes, business ventures, etc. This is not about me. I know other classes have had issues with this, and I want to acknowledge that up front. In closing, I am continually amazed at the independent efforts by many of you, some still in the service and many outside of it, in pursuing worthy causes. Serving as a conduit where we can harness the class’s vast and diverse resources for good in the name of 2003 is my aim. If you want to know more about what I have been up to since graduating, please feel free to send me a note. I’d love to catch up. -Local Presence: Residing in DC, Annapolis is an hour away making it easy to represent the class at functions with the Alumni Association, Athletic Association and other groups affiliated with USNA. -Communication: Within ’03, between classes, and with the Alumni Association, communication is critical. Email, social media, podcasts, letters, Shipmate articles, we will use all available platforms to disseminate information, share our stories, and celebrate our successes. -Forceful Back-up and Mutual Support: A class VP is like a copilot/JOOD/XO – they play a vital role ensuring the safety and success of every evolution. If elected, I will be a resource to the class President, class officers and all of you; I will ensure the basic/foundational tasks of class governance are completed, and I will provide forceful back-up when it’s needed just like a good copilot/JOOD/XO. Everyone has come a long way since graduation. Even though we all started at the same place, we’ve all taken different roads; the past 15 years have shaped who we are as individuals and as a class. The next five years will take us to the 20th Anniversary of our graduation, a big milestone; I want to serve all of us as VP to ensure we get there stronger and more united than ever. Your vote is important to me and to all of the candidates. It’s a covenant of trust, confidence and more importantly, stewardship. Collectively, with the newly elected leadership, I will devote my time and effort to be the best possible steward of the Class of 2003. I can’t bring back flip phones, Napster, or old school Blue and Gold jogging suits; however, whether it’s social gatherings, planning for new monuments on the yard, executing our Class Plan or liaising with the different Academy organizations, I promise I will tackle it with determination and transparency and vow to always look out for our class’ best interest. The Class of 2003 is full of leaders and being elected to represent our class is an immense privilege. It will be my honor to serve you all if you choose to elect me as your VP. -Stewardship: The role of treasurer one of trust and stewardship. I intend to continue ensuring that class resources are used in support of functions, events, and donations that the class endorses. I will support class leadership to facilitate that end. -Financial Experience: I hold an MBA from the University of Southern California, and am currently assigned as a Defense Resource Manager on the Joint Staff with a portfolio that includes evaluating the budgets and future programming for the Missile Defense Agency and SOCOM. Budgets and financial management is my day to day and I’d love to contribute that experience to the class. As 2003 Alumni Class Secretary, the position requires record keeping proceedings of Executive and Class meetings. As class secretary, I will make these records accessible to the entire class across a multitude of platforms, to include social media, email, and print media. I will ensure that I work closely with the entire 2003 executive committee to publish these documents in timely manner. As a class, we should take an active role in the management of our historical documents, including the Class Crest. I will ensure that our historical records are maintained with the Alumni Association and that our class has the ability to document and publish our professional and personal accomplishments with the wider USNA community. I will accept nominations for any these positions via Facebook Messenger or email (kevin.r.hagan@gmail.com). Please provide names and position you are nominating for (you can certainly nominate yourself as well) by Sunday, 29 July 2018. After I have names, I will set up an online petition to gather the required signatures to place them on the ballot. The 15 Year Reunion is Coming!!! Sign up now before additional registration fees are added on 1 August! Visit the reunion page for event details, SOE, and registration information. Your donations to the Naval Academy Foundation are vital to many of the programs that benefit Midshipmen and Alumni. Please see the attached letter from the Foundation for an update on where your money goes!